Chain O’Lakes Pontoon Boat Rentals at is proud to be your #1 boat rental company on the Fox Chain O’Lakes. We launched our business committed to a better way of renting pontoon boats. You deserve more from a boat rental company and we’re here to prove it. 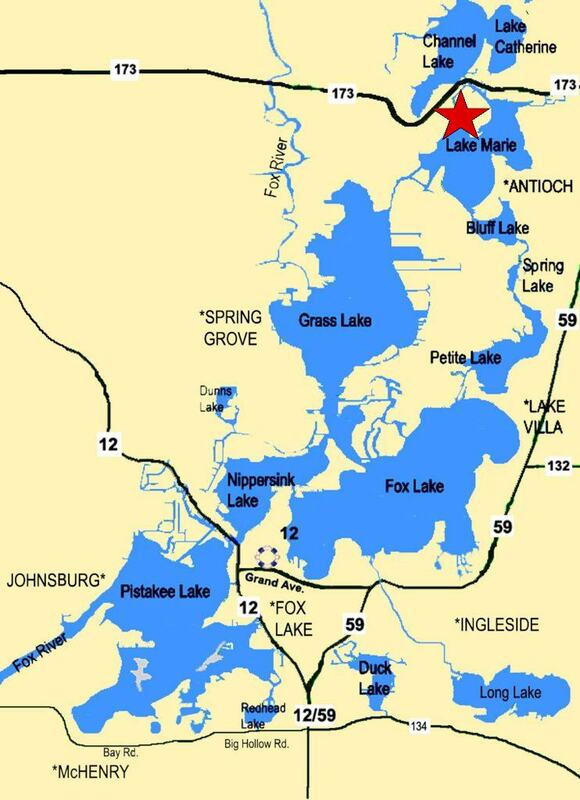 We have a convenient location at beautiful Pelican Bay Marina on the Fox Chain O’Lakes including Fox Lake, Pistakee Lake, Lake Maria, Fox River and more. You will enjoy knowing you received the best deal on the Chain – guaranteed! Our staff‘s #1 goal is that you’ll love renting from us just as much as you love being on the water. We make pontoon boat rental easy and affordable! Reserve your Pontoon Boat today! The Chain O’Lakes waterway system is perfect for renting a boat. The Chain is located in northeast Illinois and composed of 15 lakes connected by the Fox River and man-made channels. Encompassing more than 7,100 acres (29 km2) of water, 488 miles (785 km) of shoreline and 45 miles (72 km) of river. Located on the border of Lake County and McHenry County, about an hour’s drive from the cities of Chicago, Milwaukee, and Rockford, the lakes are popular with boaters and fishermen drawing weekend crowds of 30,000 and holiday crowds of 100,000 people. The Chain O’Lakes is home to hundreds of businesses. Businesses on the Chain include marinas, boat vendors, resorts, campgrounds, restaurants and bars. Among the most famous of these are Blarney Island bar on Grass Lake and the Mineola resort on Fox Lake. Renting a pontoon boat is the best way to visit all these attractions. Reserve your Pontoon Boat today!